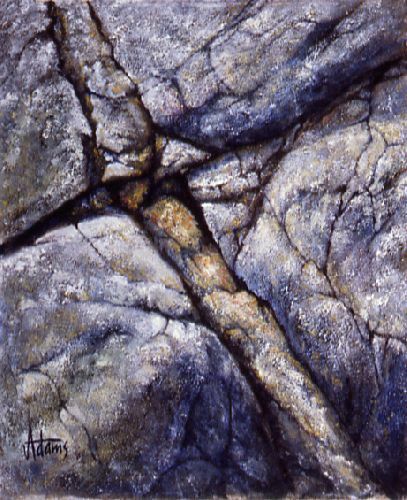 One of a very popular series of rock paintings which combine high realism with effective design elements that work well in an abstract context. For more information on Bill Adams' artistic work, go to www.hamsaanich.com. 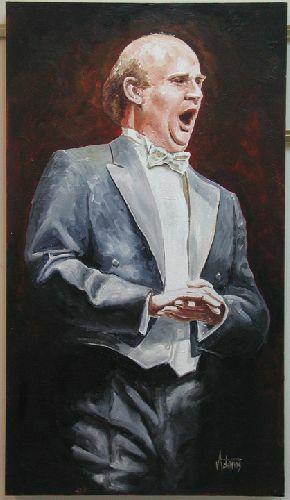 This commissioned portrait is of an internationally known operatic tenor. Bill's commissioned portraiture is a key component of his artistic output. This is from cathedral ruins in the south of France. 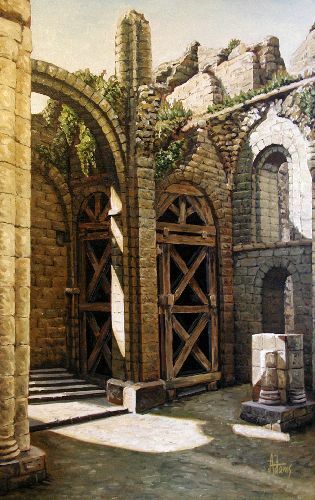 Bill routinely goes on extended painting expeditions to Europe, returning each time with an body of new work that he subsequently offers for sale at special gallery events. A 'trompe l'oiel' commisson in a private home in France. 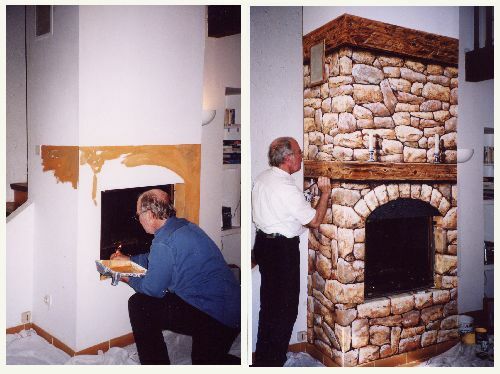 The owners wanted Bill to create interest and warm up their living room. The owner of this building gave Bill a free hand in designing this commissioned mural and was delighted with the whimsical result. 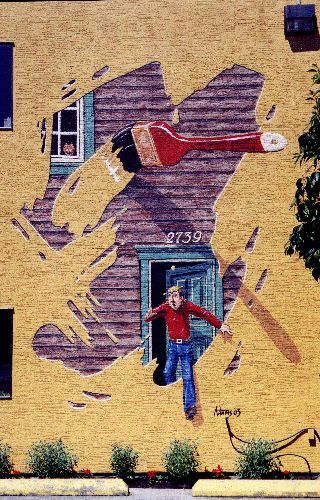 Starting with a heavily textured building that had been painted a mustard yellow, Bill used the optical illusion of the large brush appearing to slop on the yellow paint to add impact to this piece.